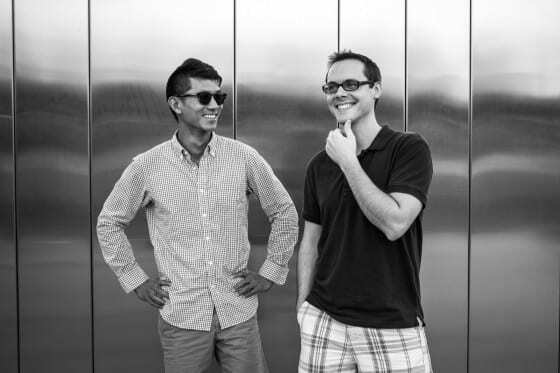 Today’s interview is with Phillip Lapuz and Eric Williams, Founder and Creative Director respectively at Kronos Golf. 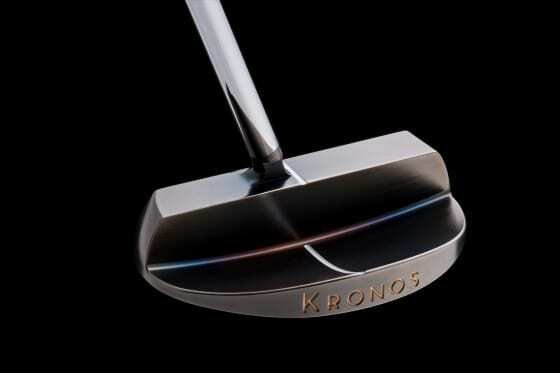 Kronos Golf makes custom, high-end golf putters and is based in San Diego, California. Eric bought some small foamboard signs from us, as seen below, that were used in their Shark Tank pitch! P: My name is Phillip Lapuz, and I am 29 years old. I am the President and Designer at Kronos Golf. I grew up in Carlsbad, California where I went to elementary school, middle school, and high school. I graduated from UCSD with a BA in Economics. During my third year at UCSD, I studied abroad for a one-year exchange program in Kyoto at Doshisha University. After graduating from UCSD, I went to work for a consulting firm in San Francisco where I spent a year before I received a full ride scholarship to study Experimental Economics at Osaka University for a masters degree through the Japanese government program Monbukagakusho. I have a variety of interest outside of golf and golf putter design and manufacturing. Growing up in Carlsbad near the beach I have always had an interest in surfing. I am very found of tea, particularly Japanese and Chinese teas, and find pleasure in simply steeping the tea using various vessels to create various flavors. My interest in tea and the preparation of tea sparked an interest in the instruments used to serve tea. My friends always laugh when I tell them that throwing on a ceramics wheel is my favorite stress reliever. They laugh because they compare it to Patrick Swayze’s scene from the movie Ghost. For the record it is not quite like that! Oh, and I am also really into cycling on a road bike. 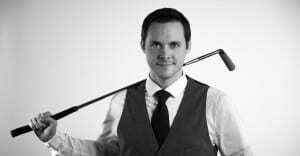 E: My name is Eric Williams, I’m 30 years old, and I’m the Creative Director at Kronos Golf. While Phillip and the Kronos HQ are over in San Diego, I myself am actually in Arizona. I’m kind of leading dual lives at the moment, with my days spent working for Intel as a software engineer down in Chandler, Arizona. At night, I switch caps and work the cameras and design software to give Kronos a bit of visual flair. Mainly, I’m focusing on the photography, videography, website design, lifestyle products, and anything else visual while helping Phillip determine the company’s directions and strategies. Despite growing up in Arizona, my life has kind of taken the long road to eventually lead me back here. I left Arizona to study computer science at UCLA after high school. During that time, I spent one year studying abroad at Tohoku University in Sendai, Japan on a research program. It was during this time that I first met Phillip. Despite eventually heading to different universities in Japan, we were both at the same summer language sessions in Tokyo beforehand as a part of our UC school’s program. After I graduated from UCLA, I went back to Japan for 3 years to teach English on the JET program, but the earthquake/tsunami/nuclear disaster in March of 2011 eventually brought me back to America earlier than anticipated. At that point, I came full circle back to Arizona, applied for one job, and here I am today at Intel while helping run Kronos with Phillip. E: Quite simply, we manufacture high-end golf putters using a refined milling process. All our putters are milled and delicately hand-worked in Oceanside, California. P: Right, the milling is something that we do for the precision and accuracy of the product, but another aspect of what we do at Kronos Golf is create putters that themselves show an appreciation of art in some ways. In some of our putters, it’s simply the clean lines and the feelings they convey. In others, it’s the coloring — or rather, discoloration — that is created by a patina process. E: Along with the putter themselves, we’re also working to create a number of unique and interesting headcovers to match the quality and presentation of the putters themselves. There’s an assortment of materials and designs that are used, but ultimately, the goal is the same as with putters: create amazing, high quality products that speak for themselves upon inspection. P: In both our putter and headcover lineup, we’ve been working in collaboration with others to help us in creating something new and unique. 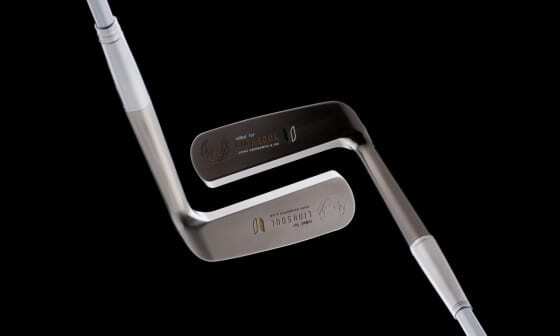 John Ashworth at Linksoul has helped us create the D’Arcy putter, an amazing old-school blade putter. Likewise, Julie Ellis over at RAIS CASE has been a wonderful partner with whom we’ve made some bold and colorful headcovers. The collaboration pieces on our website are absolutely worth checking out. P: The idea came to me at a very early age. When I was in elementary and middle school I would spend my summer vacations hanging out at my best friend’s dad’s machine shop. Alex’s dad Mike Stark was milling prototype putters for a number of big name brands. 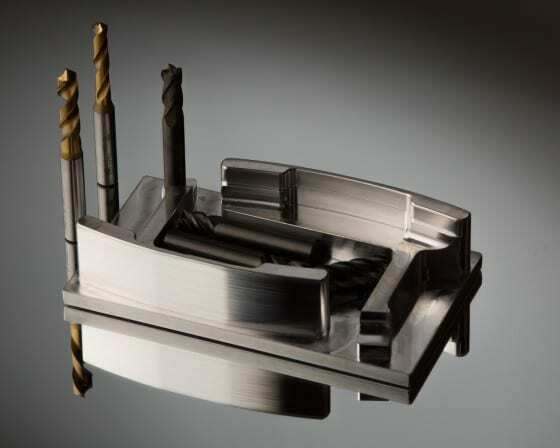 Mr. Stark would let Alex and me experiment on the scrap putter heads that could not be sold. I had so much fun shaping then testing then reshaping and testing some more. So much so that I knew at that moment that it’s what I wanted to do. The idea to make a putter company dedicated to reinvigorating classic designs came when I was on the golf team at Osaka University. I was shopping for a new putter and could not find what I was looking for. All the ones I really liked were about ten to fifteen years old and to get one in good shape I would have to take out a loan. Yes, they are crazy expensive! But the timing could not have been more perfect. Alex invited me to be a groomsmen in his wedding so I had to return to San Diego to attend. At the wedding, I ran into Mike Stark. I told him about my issue in finding a well crafted putter that was not used and old and his response was that I should draw some up and he would help me make them! It took us nearly two years to finish our first model but it was well worth the wait. E: Phillip reached out to me in the early stages when the company was still forming and asked about things like the name Kronos and what I thought of it. This was still while we were both in Japan, me in Tokushima and Phillip in Osaka. At the time I had been doing a lot of photography in Japan, and Phillip asked if I’d mind taking some photos of the headcovers he was working on. I agreed immediately, thinking it’d be a good idea to give the company a certain level of visual presentation that spoke for the quality of the products. A lot of times I look at a product online, and for better or worse, a good part of my impression comes from the images and website design itself. For me, it all started there, and bit by bit I did more to help as Kronos became something real. What sets you apart from your competition? Do you feel this position is a true sustainable competitive advantage or one that can be replicated by a competitor with the right machines? P: All of our putters are guaranteed to balance on the sight-line. We have a patented process that we hold as a trade secret to measure and align the sweet spot, the ideal spot to hit the golf ball on the putter head, with the sight-line. When I created this company I set out to create putter designs that would withstand the test of time and be something a father could pass on to his son and still be relevant. I had a growing hatred for what the golf industry was turning into. The bigger golf companies are not too different than a fast food company. Their goal is to turn over products as fast as they can. Our goal is not to sell “new technology” to improve your golf score, but to enhance the experience through equipment that will help you appreciate the finer details of the game. I always like to ask people why they started playing golf and what keeps them coming back. For me, I was instantly in love with the game when I hit my first flush and pure shot. I strive to create that feeling in all of my putter designs. By growing the game this way I believe this is a model that is sustainable and contrasts so much from our competitors philosophy that it is our competitive advantage. E: Like a lot of small, indie companies, I think it’s the drive and freedom that Phillip and I have that has set us apart. We are in a unique position to listen to our gut instincts and act on our perspective to create what we feel the market lacks, and we’re lucky to be able to do so without the need to satisfy any higher-ups of a “mega corp”. While it’s true that the method of making our putters directly relates to the quality of the product, in my mind, it’s not actually the way the putter is made that sets us apart. It’s the explicit choice to use our methods over other cheaper methods. As with any company in a similar position, the ability to sustain that comes down to our commitment to the products and our commitment to the golfers who use them. Ultimately, any competitor out there can take a similar stance in creating products of the highest quality with the right methods, but I think you’ll find that most won’t. It’s the same reason a fast food restaurant won’t suddenly start serving gourmet steaks, and if they did, wouldn’t you think twice before buying one? It all comes down to what a company stands for, and we will always be proud of the origins of where our company stood when we opened our doors. Never the less, we welcome any other newcomers into our market that arrive with the same passion and commitment to quality. If the passion is there, the more the merrier. What is one strategy for gaining customers that you have been successful with? Is there an area that you’ve struggled with? If so, how are you overcoming that? E: One of the strategies that we’ve had has been to capitalize on our personalities and the belief we have in our products and brand. That’s a wordy way of saying excellent customer service I suppose, but really, it’s an important aspect of what we’re doing. The people who buy our products deserve to feel like they’re special with their every need being taken care of. Through this, we see the recommendation of one individual leading to additional sales to their friends and family. This isn’t an exclusive strategy by any means, but I think given how much we believe in the product and what it means to the game of golf beyond the dollars and cents of business, it’s a very important aspect of running Kronos for us. I think one of the areas that we’ve struggled with though is continuing to mount an effective marketing campaign that uses our funds in the best possible way. We’ve certainly looked into many ways by which we could burn through all our money while buying ads, but as we’ve referenced before, the question is ultimately who’s playing our club and how much do they cost? Aside from teaming up with a well-matched professional player though, I still think we likely have other avenues of effective marketing that need to be found and better utilized. Overcoming both of those will be a matter of continued discussions with those in the industry that we’re connected to and decisions based on the what our market research is telling us. P: Our strategy for gaining customers is to stay true to the values we hold. This means not only the standard of quality and craftsmanship but also a dedication to what we set out to do, which is to create lasting models that will always be relevant. Many of our return customers are putter aficionados and putter collectors. Our struggle with expanding within that group is simply we do not have enough reach with our current distribution in the US. The second struggle which I believe is the more difficult struggle is marketing through education. Not all putters are created equally. Having a good design is part of the equation in having a fantastic putter the other part is the execution in manufacturing. People complain because we are always out of stock. We don’t rush our production because we know that putting out a poorly crafted product would kill us. We would rather forgo a sale than to put something bad out there. Even with the high level that we bring, many people don’t know what they are looking at. I hope someday we can reach a level like the car maker Ferrari. They make small batches that are true to their values and people don’t compare their cars to a Toyota or Ford. So I think our biggest struggle will be to educate people on the differences in our production execution. How goes the battle to get distribution/traction in the U.S.? E: It’s still a slow process, and we are continuing to evaluate our options. In Japan, we have a fantastic distributor that takes a lot of the legwork out of it for Phillip and I. In America, the same type of relationship with a distributor is not necessarily what we’re seeking. In the long run, I think that through an acceptance of the product by the golf community at large, we can create a network of stores to which we are able to sell to directly. In that case, we’d be seeking more of an order fulfillment partnership than a distribution partnership. There are certainly a large number of people wondering when and where they’ll be able to try out our putters, and we’d like nothing more than to have stores across the country stocked full of every model to give them that opportunity. P: Traction has been very good in the US. I spoke earlier about education being the biggest challenge for us. We are now in the age of the internet which has been an empowering to the general public because it allows us to educate ourselves. People who dig deeper in trying to educate themselves end up as one of our customers. Unfortunately, because it is so easy to post something on the internet, there is a lot of garbage out there that one must sift through to find real nuggets of information. The airing of our ‘Shark Tank’ episode has helped our traction in the US tremendously. The amount of effort that goes into television is unparalleled by the internet, and we find that ‘Shark Tank’ did a good job of getting the ball rolling here in the US. How do you compete with the seemingly endless “big brands” of the golf industry? E: You could always argue that a putter is a putter, so the competition will always be there, but the best way for us to compete with the “big brands” has simply been not to compete with them. By entering the market with a higher end product that is priced fairly to match that quality, we avoid the direct competition with the big brands whose own products don’t match what we’re offering. It’s not quite your typical Blue Ocean strategy that might see us use a completely new and never before seen product to create an entirely new and uncontested market outside of the established market, but it does allow us to position ourselves in a subset of the market that we feel confident in competing with and disrupting. P: Yes, we operate in a space of the market that the big brands do not want to touch. They are playing a different game. Because they are publicly traded companies their goal is to move a huge volume of putters. In the end, their product manager is the bottom line. So they must come up with some kind of new, interesting gimmick every year and pray that it moves the needle. Also, their designs must fit the pallet of the general public so their designs are always watered down. We know that our putters will not fit everyone. We are not trying to fit everyone. We are trying to fit our customers which want something very unique. By staying true to our customers we don’t compete with the big brands at all. What are some of the biggest challenges you have had and how did you overcome them? P: One of the biggest ongoing challenges is getting putters made quick enough for our customers. The Japanese market has been a bit more understanding because they understand quality takes time and they are willing to wait. Here in the US I think we are culturally more impatient and want instant gratification. So managing customer expectations on timing and explaining why things take so long has been a major challenge. E: One of my personal challenges has always been, and continues to be, time management. Starting a company is by no means a small task, and I’m grateful to have such wonderful and understanding people around me. Between my creative work at Kronos, my engineering work at Intel, and helping build a comfortable life here in America for my Japanese wife Yuka, my free time has become something of a scarcity. Often times, I’ll find myself at Intel knowing I need to get something done for Kronos, but there’s nothing I can do about it until I get home at night. Likewise, I may be up for a while deep into the night trying to wrap up work for Kronos knowing that I need to get to bed for work at Intel the next day. All of this is challenging and would take a toll on anyone, so I really can’t express enough the thanks I have for the understanding of Phillip and the support of my wife Yuka. E: Personally, if I could rewind time, just about the only thing I would do differently is practice golf more in my youth to feel better equipped for the job. I never could quite beat my brothers, and Phillip is only better than them. There’s a part of me that feels like being a better player would put me in a better position to help the company indirectly somehow. That said, my putting isn’t that bad, and like we continually emphasize at Kronos, you can’t buy your game. It all comes down to practice. In my case, I simply didn’t practice enough in my youth and young adult life to have reaped the rewards others have achieved. P: Eric is being modest, he is a clutch putter and has beat avid golfers like myself in putting games before. Predicting spikes in demand is impossible. I think this is something every company will always face until the end of time. So if I could go back in time and start production on our items that are high in demand I would do that. I think in this question you are alluding to whether we have any regrets. I don’t have any regrets because the mistakes I have made in the past have taught me valuable lessons that I will carry with me for the rest of my life. And if I had not made the mistake, I would not be here today. If you had advice for other SMB owners or entrepreneurs pursuing their dreams, what would it be? E: Hmm, that’s a tough one. I think one of our friends Peter Beames said it best, so I have to give him credit. As he says, “If you love your product, you can make anything work. You can sell anything if YOU love it. If you don’t… if you don’t have the enthusiasm… it’s not going anywhere.” To me, that means that if you ever hope for your idea to succeed, you have to have faith in it above all else. At the same time, faith can only get you so far. You have to be as objective as you can before you take the plunge to know if it’s really worth investing yourself into, because there’s no half-assing it. I think the same mentality and process applies as you continue to grow your idea as well. Just because you’ve taken the plunge and started down the road on an idea, that doesn’t guarantee your success. You need to reevaluate things midway, because you might be missing out on another idea or another path that leads to your real success story. My most important advice is this: if you’re seeking a startup partner, only go into business with people that you trust beyond a shadow of a doubt. Anything less than 110% isn’t enough. It’s a marriage, and you need to surround yourself with equally ethical, moral, and trustworthy people. Having faith in someone should be obvious, but you really need to find someone that complements you. On that note, be completely honest with each other on how you would access each of your roles and importance to the company early on. A 50/50 split isn’t always wrong, but it isn’t always right either. Often a 50/50 split between two Alpha leaders is bound to run into control issues without a path to resolution. P: For small SMB owners and entrepreneurs, I just want them to know that you are not alone in this fun, crazy, emotional rollercoaster that your business will take you on. So push through it, and you will be fine. If you truly believe in pursuing your dream, be prepared to put your pride aside to achieve your goal. And the other advice I would have is along the lines of what Eric said of finding good people to work with. A business or a company is not a product. It is a living thing. It is the people. It is the people on every level of command, and they must be motivated toward the same goal to be successful. E: At this point, it still feels like we have a full set of cards in our hands to play, and the future could take us anywhere. We’re certainly excited about the possibilities in the US, and we’re confident that abroad we can continue to create lasting partnerships with like-minded distributors to help us reach into markets around the world. We’ve got a number of ideas for additional putters and advancements to putters that we think will help us continue to establish our name in the golf industry for years to come. If you’re able to disclose, has the deal with Robert from your Shark Tank pitch been finalized and what if any role does he play day to day now that he is a 30% stakeholder? P: Unfortunately, the juiciest details are always the closest guarded, so we can’t really speak on that point. Sorry. E: It’s been fantastic. 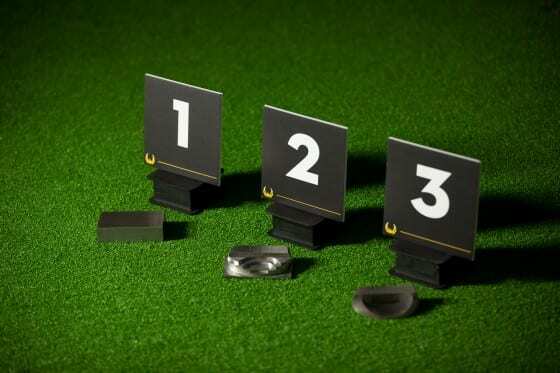 The American market is really the one where we’d expect to see the largest immediate growth given the audience that the show reaches, and average monthly online sales of our putters have risen by 3000% today as compared to before the show. P: Even then, despite the show not airing in Japan, we continue to see a lot of great growth there as well. Our distributor in Japan is home to a number of the largest and hottest brands in golf today, and yet our putters have managed to secure a Top 3 position amongst their best selling putter products, so we’re very excited to see things continue to go well even abroad. E: If you’re looking to purchase or browse, you can find our website online at www.kronosgolf.com. P: Also, our social media can be found under @KronosGolf on Twitter, kronosgolf on Instagram, and Kronos Golf on Facebook. We try to keep things interesting with discounts and images showing what we’ve got coming up, so please check us out and follow us if you like what you see. Thanks for the opportunity to speak with you and your community! Editor’s Note: Thanks to Phillip and Eric for the time they took to thoroughly answer our questions! Making and marketing a high-end product with high fixed costs can’t be an easy endeavor but Kronos is well on its way to long term success. Perhaps the most important lesson from Phillip and Eric is the insight they provide on who they compete with. They both know very well they have no intention of competing with large brands with “watered” down products. Nor do they try to please everyone. Instead everything they do, manufacturing, marketing and distribution, is deliberate and validates their “quality” and “high-end” positioning within the market. Another great lesson to internalize is that without a doubt an entrepreneurial venture requires passion and belief but also a heave measure of objectivity. Without a doubt in many cases this may even require a third party. Lastly, surround yourself and fill your business with good people and you are well on your way to growing your business.